Last week, Nova and Velvet moved to Newcrest, got jobs in the painting career, and ended the week knocked up weeks ahead of schedule. Welcome to Newcrest with our heiress, Nova and my hair recolor model, Velvet. The weeks will run from Saturday through Friday. Last time, we returned with a quick overview after a lengthy absence. The newest patch also killed the newest save, but luckily I only lost a couple of in game hours. Huge absence! Sorry! I restarted my subscription to FFXIV and have been playing that religiously. I even bought my kid the game and we have been playing together a lot too. Yeah, so I might have gone past addicted and went straight to obsessed. I haven’t even owned the game a year yet and there was about 4 months where the game was completed that I didn’t play. Anywayz, I have 78 shots taken between December 21-23. This will be a quick documentation because I have no clue what was going on. Last time, we had a lot of pics go missing and we had to deal with that snafu. I started Friday off finishing a project that sat around after the machine broke last time. …And we’re back with Kylee! Last time, Jaxon had a fatal accident. 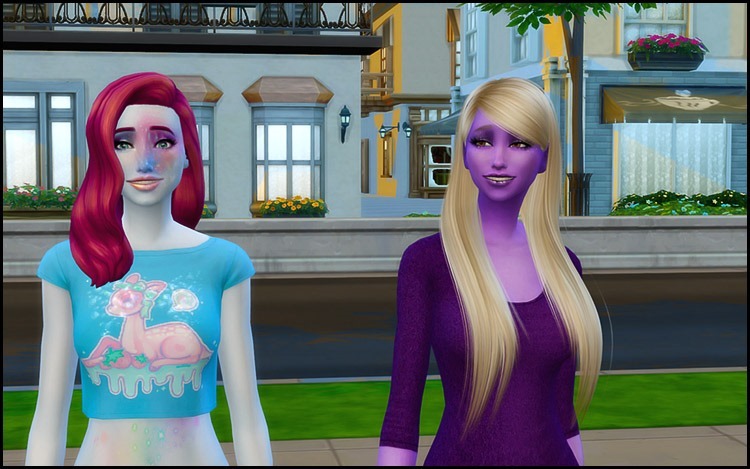 Kylee met Wade and he moved in, while brother Tommy hasn’t been seen since he found out that Kylee was pregnant with an alien child. The week started off with me in a daze. 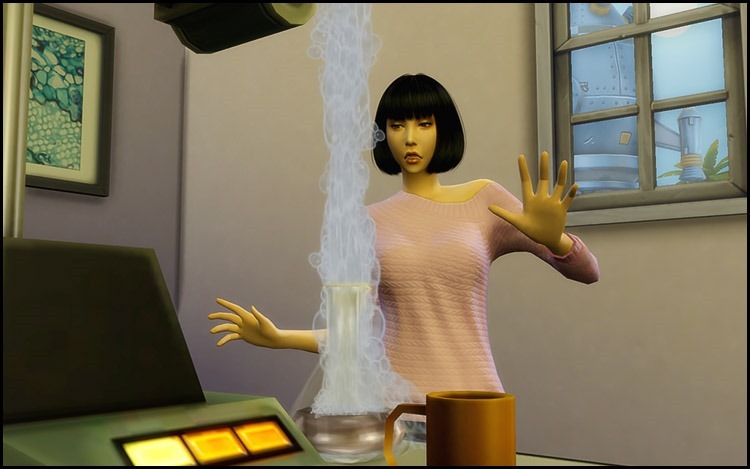 I really think one of my experiments tried to kill me. I don’t remember much for several days afterwards. Welcome back! Last time there was work and rocket building. 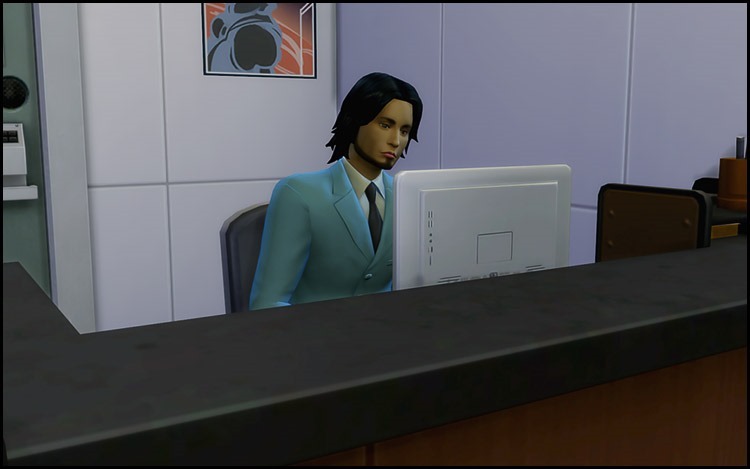 A nice sim named Jaxon moved in, but afterwards, there was no spark of interest between the two. They remain good friends though. 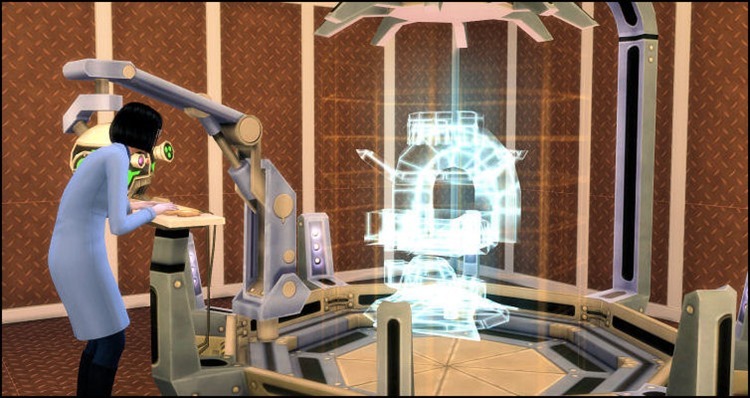 Oh and there was a SimRay, the best invention ever. Well, it’s Friday again. I have no clue why this is the start of my week. *shrug* Today, there was a new receptionist at work. His name is Arthur and he is very pleasing to look at despite all the makeup.